The International Road Federation, (IRF), Geneva a global notfor-profit think tank working for better and safer roads worldwide notes with great interest the recent efforts of the Government of India towards the further development of the Indian automotive industry, namely the launch of the second Automotive Mission Plan 2016-2026 (AMP-2016) which is the collective vision of the Government and automotive industry with an aim to bring the industry to the top three of the world. 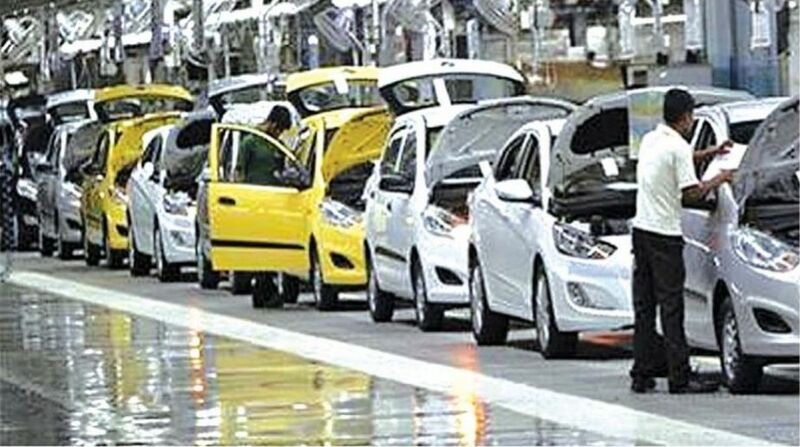 The AMP lays out an ambitious trajectory for the growth of the automotive industry; it sees the Indian automotive industry growing 3.5 to 4 times of its current value of $74 billion to $260 to 300 billion, and producing 9.4-13.4 million passenger vehicles, 2.0-2.9 million commercial vehicles, and 50.6-55.5 million two wheelers by 2026. 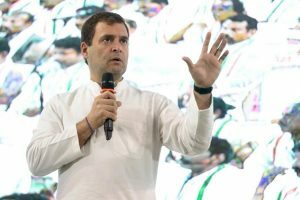 This massive growth is foreseen to contribute over 12 per cent of India’s GDP and generate an additional 65 million jobs. This ambitious growth plan is at the centre of the “Make in India” initiative. The Indian automobile industry is well on its way to meeting the AMP 2016-2026 objectives. However, the success of the Indian automobile industry and the realisation of AMP 2016-2026 objectives depend on continued investment and access to technology. Both depend on creating, and consistently adhering to, a welldesigned policy framework, based on solid data and information, an understanding of the role and limits of technology, and the cost-effectiveness of policy measures. This policy roadmap should lay out a credible path ahead for the Indian automobile industry. Such a policy framework, once developed and adopted, will lay the foundation for a significant increase in foreign direct investment in the sector, and will ensure that the Indian automotive industry becomes a global player based on cutting edge technology, rather than just price or mileage. These investments will lay the groundwork for the dominance of the Indian automobile Industry for decades to come, for creating tens of millions of new jobs, and adding hugely to India’s GDP. Going forward we would like to urge that the Government of India lay out a clear roadmap for the Indian automobile industry covering passenger and commercial vehicles; fuels including bio fuels; fuel efficiency and emission standards for vehicles; safety; vehicle testing and certification requirements and methodologies; Electric and hybrid cars; Autonomous vehicles and a policy on bio-fuel powered vehicles with similar treatment vis-a-vis electric vehicles. The policy framework should be forward-looking and consistent, and specify concrete and realistic, final and intermediate targets in each of these areas. It should be technology independent and flexibly allow industry to meet specified targets. It should specify phase-in periods for new technologies and should not be changed mid-stream. The policy framework needs to provide clarity in terms of what the industry can expect in coming years. Given the long lead times and investments that are involved in bringing new technology to the market, this clarity is essential. For example, autonomous cars are not yet on the horizon in India. However, this technology is rapidly developing and is expected to be on the roads within the next five years in several countries. If the Indian automotive industry is to be a global player, it needs to lead rather than follow global developments. Clarity of policy on autonomous vehicles can help to stimulate innovation. The lack of consistency in applying policy can have enormous costs. Consider for example the fuel policy. If fuel properties are not in line with emission standards for vehicles, meeting these emission standards will either not be possible or very expensive (making the Indian automobile industry less competitive). Neither is a desirable outcome. While Indian vehicle emission standards are clear, they are based on European standards which in turn are based on the European driving cycle. This is important for two reasons. First, the European driving cycle is very different from driving conditions in India, driving speeds are much lower in Indian cities than in European cities. Lower driving speeds mean more emissions. And second, the temperatures at which vehicles operate in India are quite different from those in Europe. This also affects vehicle emissions. Not taking these differences into account means that meeting vehicle emission standards may be difficult. Or worse, while the vehicle emission standards are met, the expected reduction in emissions may not materialize. Another point worth considering when setting standards is the need of different market segments. In India, we specify vehicle emission standards by the class of vehicle. It may, however, be worthwhile to explore the Corporate Fuel Economy Average (CAFE) approach as it allows manufacturers’ room and flexibility in terms of reducing vehicle emissions across their entire range of models. The policy framework should, to the extent possible, be technology independent. Consider, for example, the twin goals of safety and emissions. Improving vehicle safety often leads to increased emissions. The tradeoff between improved safety and reduced emissions can be made in numerous ways. It would be inappropriate for a policy framework to specify the exact tradeoff to be made; the choice of how this is to be done should be left to the vehicle manufacturer. Given the complexity of the automotive industry, the large investments needed, and the long lead times for developing new technology, it is necessary that when new standards are set, there be sufficient time given to the industry to develop products to meet these standards. Finally, and most importantly, once the policy framework has been specified, it should not be changed midway during implementation; i.e., it should offer policy certainty to the automobile industry to plan futuristically. The recent changes in accelerating the coming into force of new emission standards means that investments made in meeting earlier standards have been made in vain, representing an unnecessary loss to the industry. In view of this, the IRF would like to urge the Government of India to develop a policy framework along the lines of what is suggested here. Such a framework will go a long way to improve the global competitiveness of India’s automobile industry. This will also help reassure investors that their investments will yield expected returns and be subject to only the usual business risks.